MONTREAL, Quebec, December 9, 2017 - The world of news reporting never sleeps. 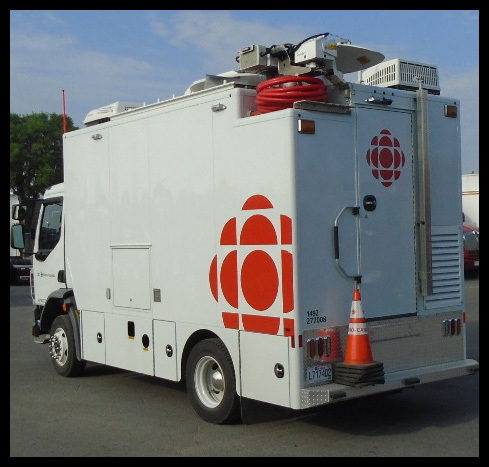 And for Mario Gionet, that means the CBC Radio – the Canadian Broadcasting Corporation, Canada’s national news network – is always ready to report the story. In Montreal, three Kenworth K-Series medium duty cabovers serve as mobile production trucks. 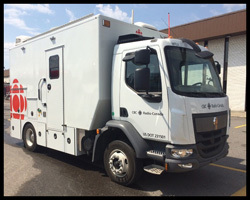 A Kenworth K370 Class 7 cabover with 17-foot body on a 182-inch wheelbase is a mini-studio with three technicians running the boards for TV broadcasting. 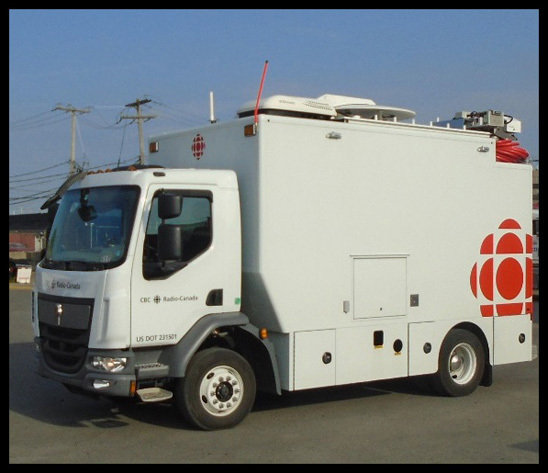 It’s the go-to vehicle for live remotes in French and English. 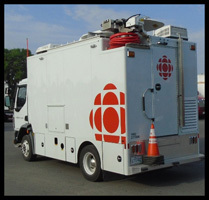 Two Kenworth K270 Class 6 cabovers, with 142-inch wheelbases and 14-foot bodies, are also used and typically cover smaller, Montreal area news stories. These trucks feature low-profile, 19.5-inch tires to reduce overall vehicle height. The CBC’s Kenworth K270 and K370 cabovers are powered by the PACCAR PX-7 engine rated at 250 hp, and are equipped with Allison 5-speed automatic transmissions. Mileage can vary from 13,000 to 25,000 kilometers (8,077 to 15,534 miles) per year, since where the Kenworth cabovers travel is dictated by where the news occurs. CBC does not have its own maintenance shop, so the company relies on Kenworth Montreal for its maintenance and minor repair program. But, with a caveat: the Kenworth cabovers can be called upon at any time, so trucks get in and out of the shop very quickly. “Kenworth does a great job realizing this – that keeps us rolling,” said Gionet.